Ceramic tile is a beautiful type of bathroom top material. Ceramic tiles are patterned, and the patterns are bold this makes them useful backsplashes and also perfect for the tub surroundings. Ceramic tiles are easy to customize in your bathroom. This gives you an opportunity to have the bathroom just the way you would desire it to look. You can also create a specific pattern using ceramic tiles. 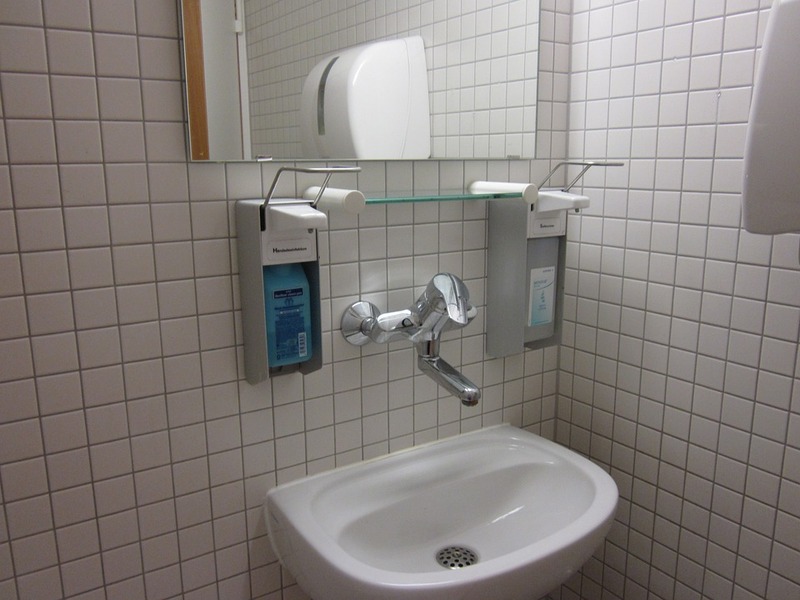 The ceramic tiles are usually popular with the Vanity Units. Ceramic tiles when glazed they are resistant to scratches, stains, heat and moisture. This quality makes them superior and appropriate for the bathroom given the constant regular use of the bathroom. Ceramic tiles are also readily available in the market, affordable and easy to maintain. In the event one tile is spoilt it can be replaced quickly. Laminate is one of the oldest material used in the bathroom. Laminate is also known as Formica. Laminate is made of thin plastic which is attached to plywood. With the use of modern technology laminate, we gave a finish of stone and a wood finish; there is also the availability of plethora and graphic patterns. Laminate is a very affordable countertop. Just like ceramic tiles, the laminate is easy to clean; it is water resistant and durable. Laminate has a warm touch to it making it a cozy counter top. It is one of the counter tops that is easy to install; you may even do it yourself. Granite is the most popularly requested for and used on the bathroom counter top. Granite is preferred to other natural stone choices. Granite is effortlessly beautiful and available in a variety of patterns and colors. Granite is very durable and can last a lifetime as compared to other bathroom options. Granite is impervious to heat and humidity. Granite is also resistant to scratches and very easy to maintain. Granite is can also make it easy for you to resale your house, thus having granite increases the value if the house. Quartz is a very ubiquitous material. Quartz is also a very hard mineral. Almost all stones have a percentage of quartz in their composition. Unlike granite, quartz is robust and does not require any form of sealing. Naturally, quartz is resistant to stains, bacteria, and moisture. Quartz as a countertop can be installed in many options and several edge treatments.